Poetry. African & African American Studies. 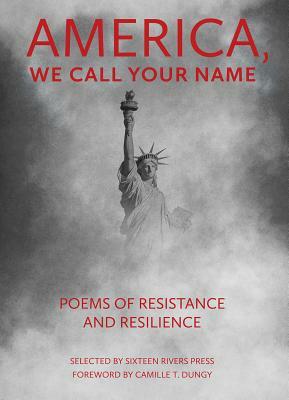 Soon after the 2016 presidential election, Sixteen Rivers Press, a shared-work collective of Northern California poets, conducted a nationally advertised call for submissions, seeking unpublished poems that would "respond to the cultural, moral, and political rifts that now divide our country: poems of resistance and resilience, witness and vision, that embody what it means to be a citizen in a time when our democracy is threatened." In a matter of weeks, the press received over two thousand poems. The work came from across the country, from red states and blue states, high schools and nursing homes, big cities and small towns. At the same time, the poet-members of the press were asked to nominate poems. These poems could be old or new, published or not, the poets living or dead--anything from anywhere that spoke to this moment in the voice of poetry. In this way, we gathered another three hundred poems, ranging from Virgil and Dante to Claudia Rankine and Mai Der Vang, from Milton to Merwin, from Bai Juyi to last Thursday's just-posted Poem-a-Day. This anthology is a blend of poems from these two sources, each of its nine sections a kind of town-hall meeting where citizen-poets gather to raise their voices, now raucous, now muted, now lyric, now plain: voices responding with dissent and consoling with praise, perspective, vision, and hope. Around 1950, Pablo Neruda wrote the poem, "Am rica, I do not call your name without hope" to a Latin America in crisis. In this anthology, Dean Rader's poem, in the spirit of Neruda but in the time of Trump, speaks, under the same title, to our America: "this is for you and your fear, your tar; / for the white heat in your skin and / for your blue bones that one day may sing." The title of our book echoes this cry: America, listen to what your poets are saying. Are we the corrosive, racist, authoritarian regime that the 2016 election brought to power, or are we a democracy, that fragile, imperfect form of government that must be constantly guarded in the struggle for equality, justice and freedom? In resistance and resilience, and not without hope, America, we call your name.